Fancy saving some money on tablets, laptops, cameras, games and more? Then you've come to the right place. Every week, TechRadar hunts down the best deals on the web and rounds them all up in one handy, money-saving post. Our top deal this week is the Transcend 1TB 2.5 inch USB 3.0 portable external hard drive for just £59.99 - that's 50% of its usual price. 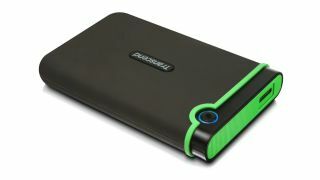 Your files will be safe on this drive as it features a rugged slip-resistant silicone outer shell, a reinforced hard casing, and an internal hard drive suspension damper, while also featuring a 'One Touch' auto-backup button for backup and synchronisation when used with Transcend Elite software. Sound good? Grab it now from Amazon!